Happy 2014! It’s a new year and we are back in the burger eatin’ saddle. I’m really looking forward to this year because I’ve got a couple of big milestones coming up. Next week, A Side of Ketchup will hit its 100th post! I am promising to make it a super special, action packed (? 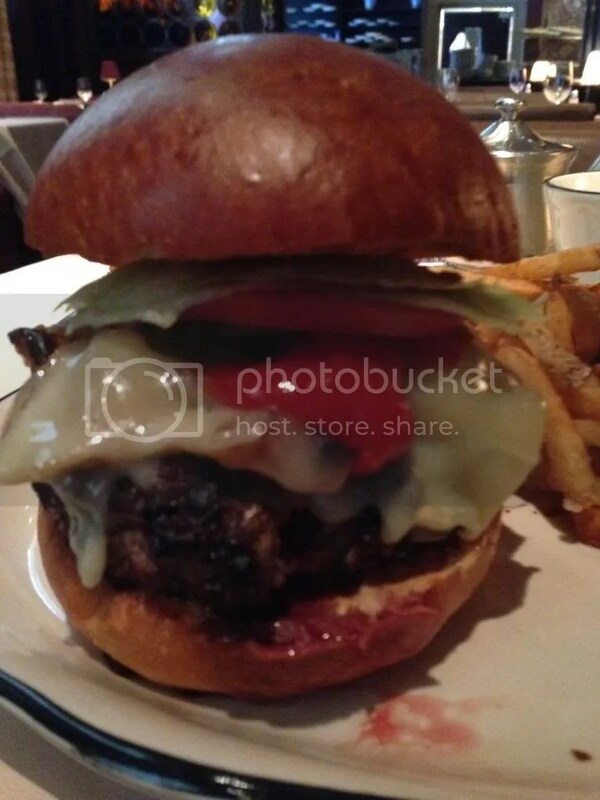 ), burgerlicious treat, so check back for that. Also, I am turning the big 3-0 this month as well! To celebrate, I’ll be dining at the Zahav chef’s counter and will (hopefully) be able to recap all 10 amazing courses for you guys, provided I don’t slip into a food coma first. Additionally, I’m heading to Las Vegas at the end of the month for some extra celebrating and will be recapping the best burgers & other delicious delights Sin City has to offer. The burger came out cooked perfectly medium, as I would expect from a place that makes meat temperature their main business. I loved everything about this burger. The meat was juicy and bloody, with an amazing char on the outside. The bun was thick and soft, withstanding all the drippings (although I did have to take my time eating it to ensure that I wouldn’t run out of bottom bun first). It’s a good thing that the hostess seated me in a corner where no one else had to look at me because I was destroying this bad boy! I was kind of embarrassed about the way my napkin looked afterwards, but hey, that’s what you get for serving something this amazing at a fancy, white tablecloth place, right? Look how massive this thing is! It was an all around excellent burger (Stephen Starr is not messing around, folks!) and definitely the right way to kick off a new year of burger eating, especially at the price point. I highly suggest – nay, I demand! – taking a long lunch break to get the Butcher Burger. Both your stomach & your wallet will thank you! 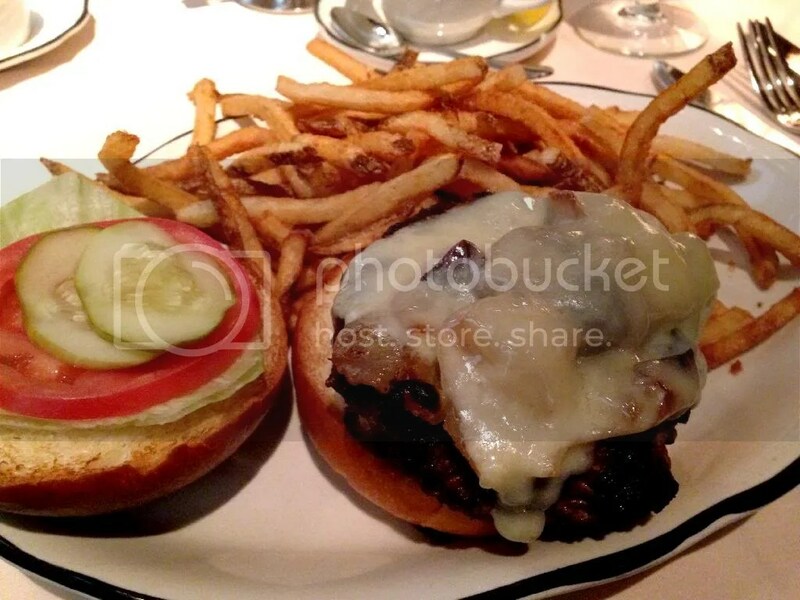 Posted in Bargain, brioche, buns, burger, burgers, Butcher & Singer, char, cheddar, cheese, fancy, fries, lunch, onions, philadelphia, philly, pickles, steakhouse. Bookmark the permalink.